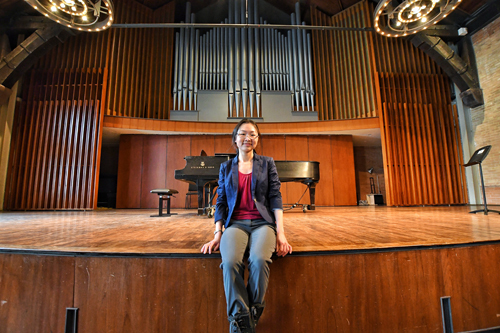 After earning her undergraduate degree at Beijing China Agricultural University, Liu decided she wanted to explore a frostier environment for the next phase of her academic career. “It’s kind of ridiculous, but I’d heard people saying it can turn to minus 30 or even 40 in the winter (in Saskatoon) and I really wished I could see those piles of snow,” Liu said, laughing. Ottawa’s branch of the Canadian Mental Health Association (CMHA), in partnership with the Champlain Local Health Integration Network, has launched a unique program called “Familiar Faces” to overcome this problem. Since 2014, the initiative has increased communication between hospitals and community-based mental health organizations to identify the ER’s familiar faces, pinpoint where they need more support, and direct them to agencies that can help. In partnership with Mitacs Accelerate, the project has been able to take another important step: research and evaluation. “I have always been interested in anthropology, particularly Indigenous ethnography, and how certain forces are trying to homogenize them. The researcher plays a critical role in these kinds of studies, as he or she needs to experience these communities by being in them,” she explains. “Anthropology exists in the space where one culture collides with another.” She’s putting that passion to work at the Universidade Federal do Rio de Janeiro (UFRJ).